This piece of green sea glass found on the shores of Saint Martin and has a rough texture created by the ocean. Set in a band of sterling silver with fused sterling silver triangles. 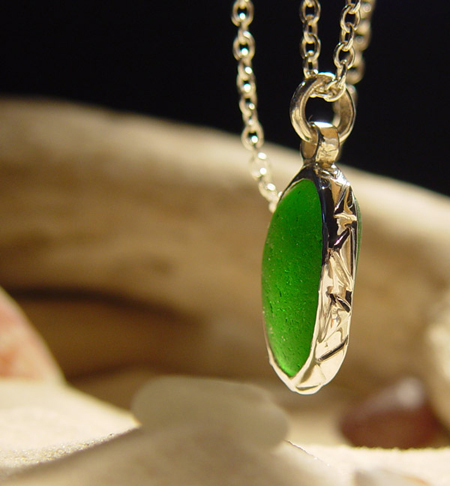 The sterling silver bezel allows luminescence of the sea glass. This 18" sterling silver chain is included. The sea glass stone measures 1.0 " length x 0.7" wide x 0.3" thick.